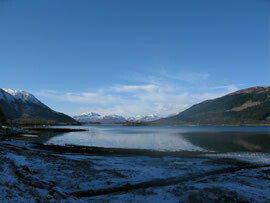 The Leven and Coe rivers are situated at the west end of the dramatic Glen Coe, where the valley opens up to the coast. Although they are geographically close the character of the rivers are quite different. The Leven catchment has been much- modified to serve the Aluminium industry that was once the economic heart of this area. The river flows out of the Blackwater Reservoir, a man-made waterbody constructed in the 1900’s to provide hydroelectric energy to the Aluminum smelters. The hydro scheme is still in use today, although the smelters closed in 2000. 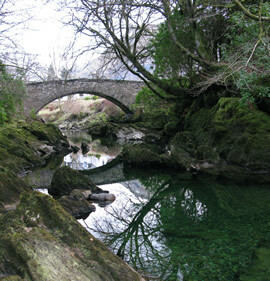 The outflow of the hydro is in the village of Kinlochleven, rejoining the river just before it flows into Loch Leven. Only the bottom two kilometres of the river Lever are accessible to salmon and sea trout, due to a large waterfall. 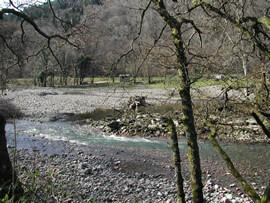 The River Coe originates at the much-photographed Meeting of the Three waters. The river then passes through the heart of Glen Coe to Loch Achtriochtan before continuing 6km out to the sea. The steep, unstable nature of the mountains in the upper part of the river results in large movements of gravel through the river. The lower part of the river is owned by the Glencoe Heritage society. Both the Coe and Leven suffered serious declines in their salmon and sea trout numbers in the 1980’s, although happily numbers have been gradually but consistently been increasing over the past 4 years.